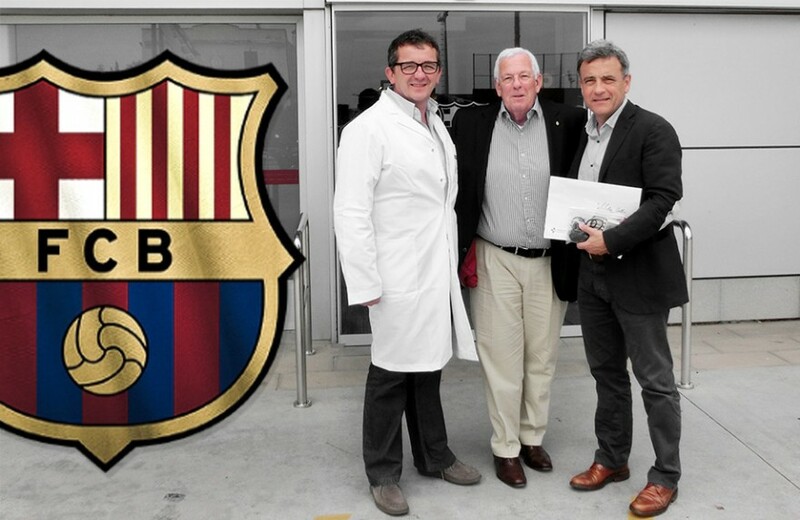 In the first week of June, doctor Hans van Schie, scientific director of UTC Imaging, installed the UTC System at the Sports Medicine Centre of FC Barcelona. In this beautiful, well equipped and staffed facility, doctors Gil Rodas and Lluis Til, specialists in sports medicine and orthopedics, will be the prime users of UTC imaging® to monitor the professional players in the different disciplines. Gil Rodas: “Using this system will enable us to prevent the development of tendon injuries based on UTC imaging ‘s sensitivity to detect already minor exercise-induced changes in the tendon matrix”. Effects of training-loads are instantly visible and can be monitored to avoid over-training and the otherwise inevitable build-up to injuries that may lead to missed games. In case an injury develops though, UTC imaging® is the modality of choice to stage the injury and to guide the rehabilitation process. It will get the player back to play as soon as possible, preventing relapses. Moreover, the Sports Medicine Centre of FC Barcelona and UTC Imaging will start a close cooperation in clinical research. Striving for excellence, for both partners only the best is good enough. FC Barcelona, in their own words “more than a club”, is a trendsetter in using UTC imaging® as a tool to manage their players. As such, UTC fits in their strategy to keep players kicking, running and jumping to their best performance as everybody expects from Barça.